Every week one child gets chosen for our merit award, which gets presented during our celebration assembly that takes place every Friday at 2:30pm. 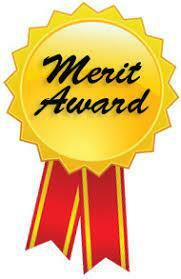 You have won this week's merit award for your excellent attitude to learning and a great start to year 3. You have won this week's merit award for your outstanding character description of Charlie Bucket in English. Myself and Mrs West were blown away by your writing- keep it up! You have won this week's merit award for your excellent attitude to learning and always participating in class discussion. A great member of Beech class! You have won this week's merit award for your increased independence in both English and Maths which has led to some great work being produced in both your setting description and addition work. Top stuff! You have won this week's merit award for your persistence with column subtraction, it was tricky but you did not give up! You try hard in everything you do and we are very impressed! You have won this week's merit award for consistently displaying the school values and being an excellent role model for your peers. Well done! You have won this week's merit award for showing an improvement in your behaviour and being a shining star in Maths, excellent!